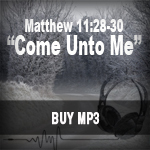 Scripture Songs for Worship : Matthew 11:28-30 "Come Unto Me"
Matthew 11:28-30 "Come Unto Me"
Scripture taken from the King James Version®. Public Domain. Background Images © All rights reserved by K.W. Mui. Used with permission. 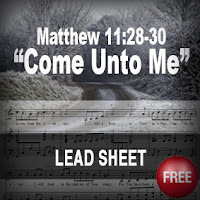 Than you Lord Jesus, for using her for your glory.